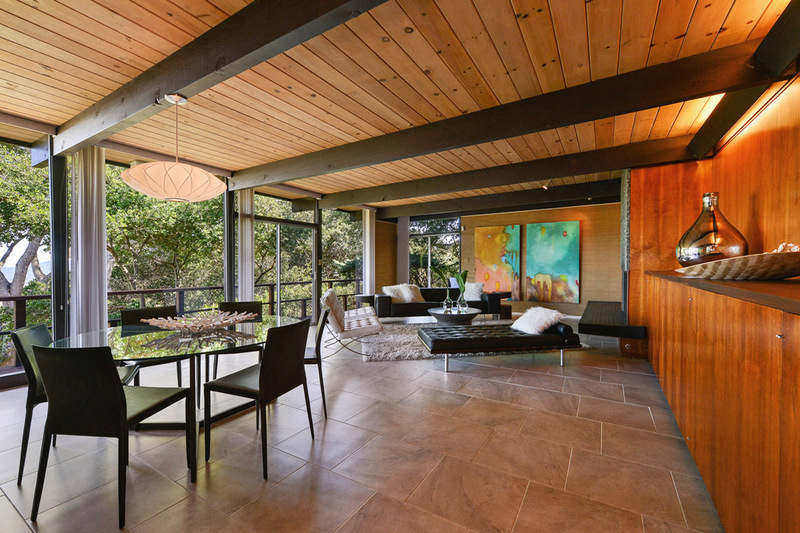 Joe Eichler knew early on that house hunters in Marin County would have substantial appreciation of modernist architecture. Not all of them would buy an Eichler, however—as evidenced by a spectacular mid-century modern listing that just hit the market near Marin's San Anselmo. A relative of mid-century architect Russell William Barnecut wanted such a home in the late 1950s on a hill overlooking what would become the greatly desired Sleepy Hollow neighborhood of San Anselmo. There Barnecut designed a custom beauty: 4 beds, 3.5 baths, 2,800 square feet on nearly an acre of a bluff with outstanding views. 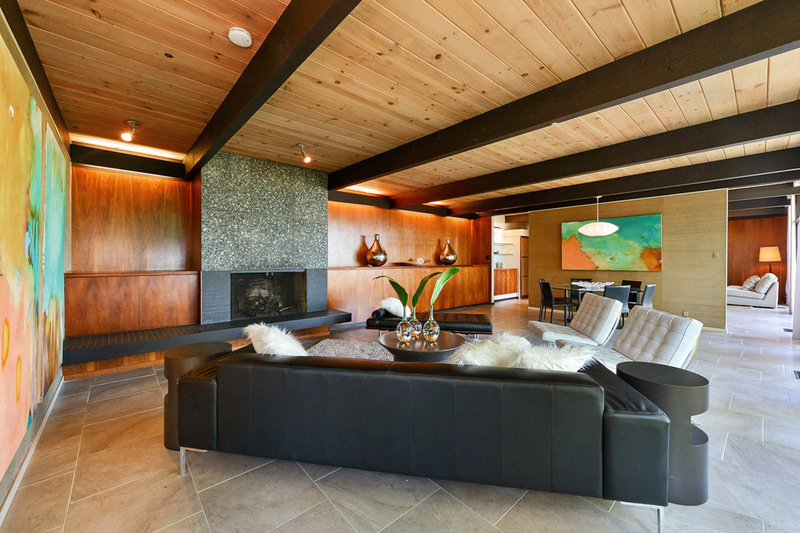 "It's been popular," says listing agent Renee Adelmann of Marin Modern Real Estate of the 1960 construction at 4 Fox Lane, currently listed at $1.7 million. "Usually my mid-century modern houses there get good turnouts...Just looking for the right buyer." Adelmann, who is hosting her fourth open house of the home Sunday, May 17, says such houses are "few and far between" in Marin. 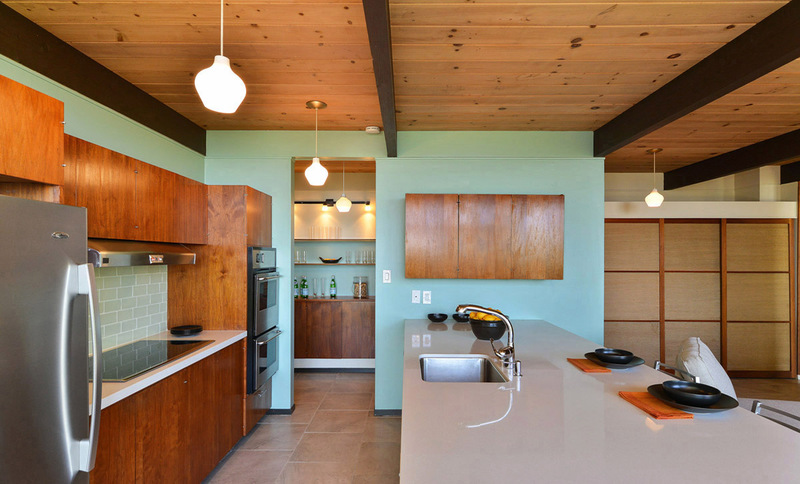 "Those homes don't come up for sale very often," she says, noting that although there is a small Eichler tract and two custom Eichlers in Sleepy Hollow, most homes there are ranch style. 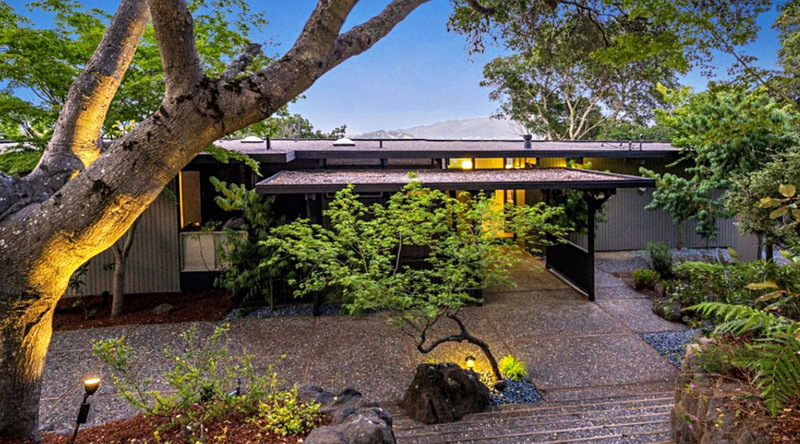 As proof, she said the last MCM home to sell in San Anselmo was several months ago, an Eichler on Katrina Lane, and it went at auction for $1.3 million after listing for $900,000. Not a great deal is known about Barnecut, who was based in the East Bay during his architectural career and registered with the American Institute of Architects from 1958 to 1969. He passed away in 1995. Nonetheless, there is no denying the charm of his design on Fox Lane, which was lovingly restored this decade by the sellers, a party identified by Adelmann as its second owner. Additions included stainless-steel appliances, new countertops, tiled floors, remodeled showers, new toilets and faucets, and a bar area off of the dining room. Walls were also sheetrocked throughout the home and outdoor drainage was improved.